1.600,00 EUR 19 % VAT incl. 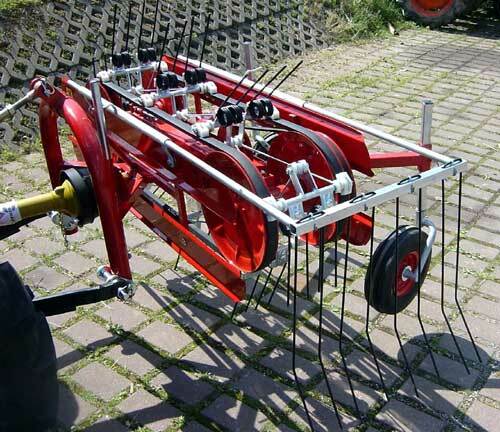 This tedder fits to the rear three-point linkage KATI and is driven by a standard PTO shaft 1 3/8 clockwise. 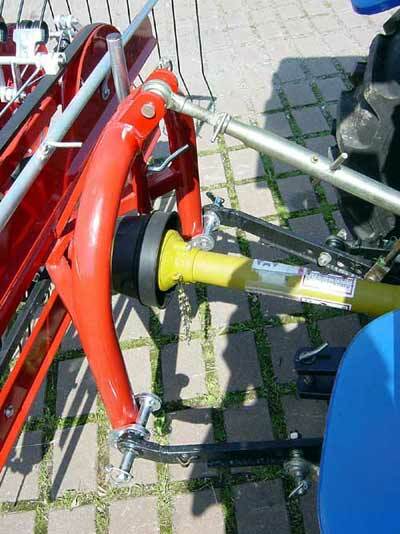 A PTO is not included, but can be ordered for 99,00 Euro. 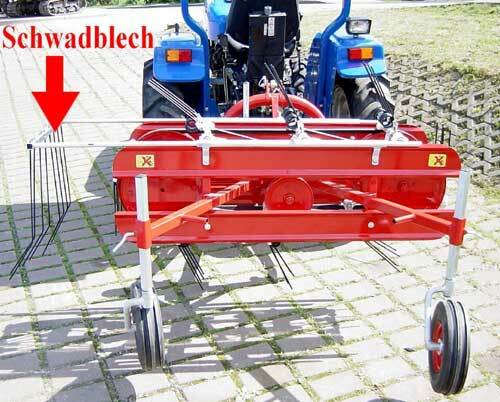 The working width of the belt hay tedder is 1.25 m.
The swath board is included. 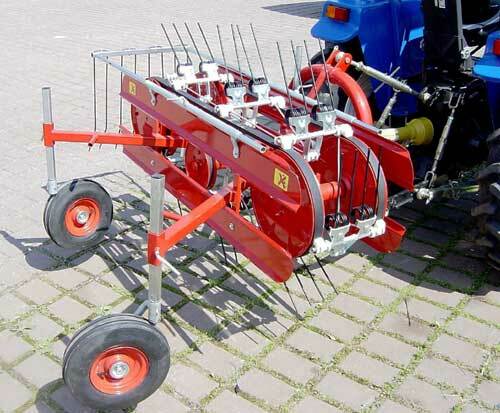 Ideally suitable for small areas. 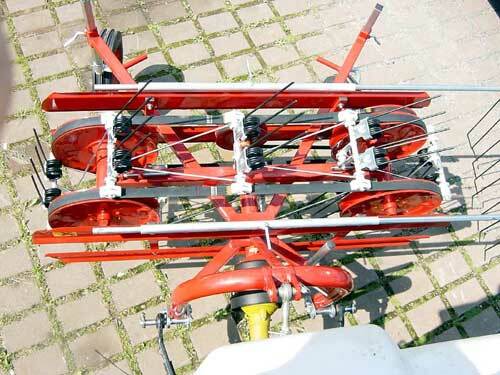 The tedder is compact and requires very little power - 10 PS are already sufficient.